Join the Ragged Mountain Foundation for a year-in-review and community discussion about the current state of climbing access in Connecticut. Rock Climb Fairfield and RMF volunteers team up to construct a retaining wall at Pinnacle Rock's Cracked Wall. Check out REEL Rock 11: A benefit for RMF. Trailer, Tickets, Directions. 2016 Conservation Crew volunteer work days announced. Join us for REEL Rock 10 at Trinity College on November 14. An adventure film tour to benefit the Ragged Mtn Foundation. Pinnacle Rock (Plainville, Connecticut) is one CT’s busiest and most accessible crags. 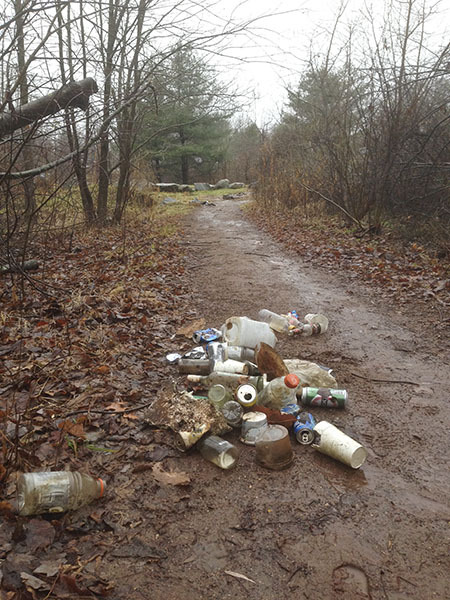 Often ATV and party traffic visit the summit leaving their garbage, fire pits and graffiti behind. 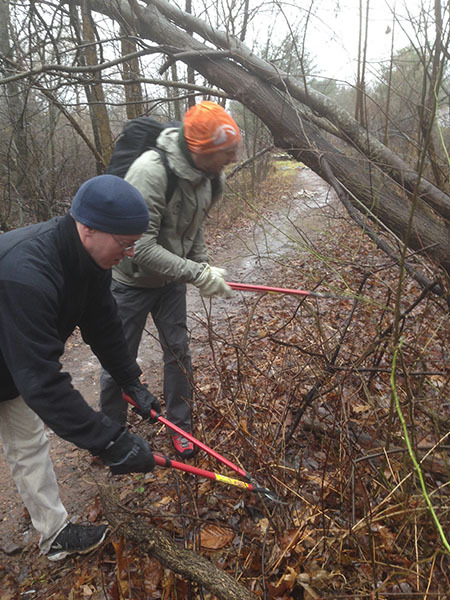 On Saturday, December 6, 2014 more than 21 volunteers gathered at Pinnacle despite cold, wet conditions to clean up the crag and pick up broken glass, car parts and garbage. In about 4 hours of work we removed a full pick up truck load of trash. Our annual Adopt A Crag at Pinnacle Rock is a joint effort with the Access Fund and an important part of our mission to conserve local climbing resources through crag stewardship. 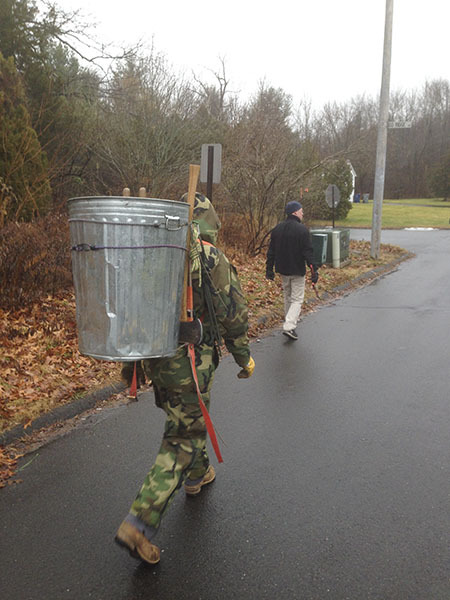 Many thanks to our committed volunteers and local community groups like CT Climbers & Mountaineers and the AMC Connecticut Chapter for their assistance. And thank you to the staff of the Plainville Starbucks for allowing us to dispose of the trash in the store dumpster. Stay tuned to the RMF Overlook Blog for more stewardship projects and volunteer opportunities. Anyone concerned with the preservation of climbing access in Connecticut is invited to attend and share their ideas.